Features special adhesive for plastic surfaces. 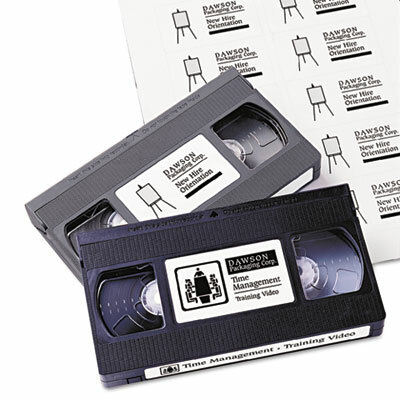 Easily identify tapes by custom printing labels using your laser or inkjet printer. Special adhesive for plastic surfaces ensures labels adhere firmly. 8-1/2 x 11 sheets.